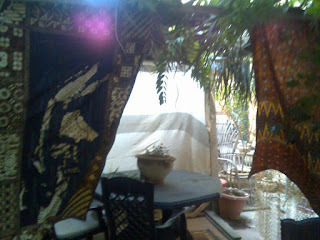 I am blogging from my sukkah. 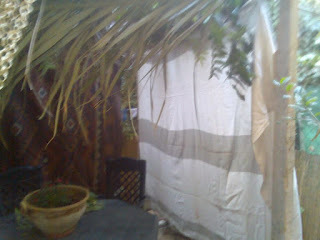 This is only the second year we've had a sukkah in our little garden, lovingly built with much sweat and ingenuity by J from scrap wood and assorted sundries. Yes, but what has this to do with writing? 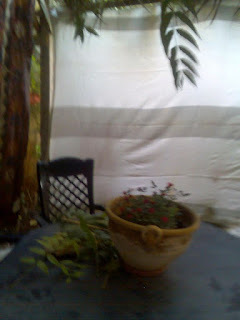 Well, the Sukkah is intended to celebrate the Sukkot holiday, and supposed to be up for 8 days only... but last year I was so enamoured of it that we left it up for a few months and it become my little outdoor writing space, despite the worsening weather. 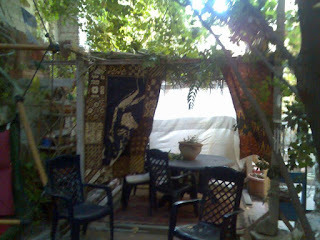 It's a little bit of inside and outside combined, nature and technology, permanent and fleeting, creativity and peace. Everyone should have one. There is a similar American venture, One Story, to which I subscribed for a while, but their covers, while different colours, were plain, not like Vignette's, where the artwork is part of the overall impression. Also, I have to say that I only tended to enjoy one One Story story in every five or six, I found the writing too "American" for me. It's the same reason why I don't like most of the NewYorker fiction: so many of the stories they publish are, to me, like mini-novels, rather than being the unique and beautiful thing that is a short story, where every word counts, and where magic can happen in such a small space. Anyhow, much luck to Vignette. I have only read Minishot #001 so far and was also impressed by the writing, so am looking forward to the other six that came along with it, and more as they are produced. It's great to find more English-language publications that aren't from America or the UK - which is my own fault, I know, I am sure there is a great deal I haven't found yet. (I stumbled across Vignette Press thanks to Duotrope, which is a godsend for writers and deserves much support and praise.). 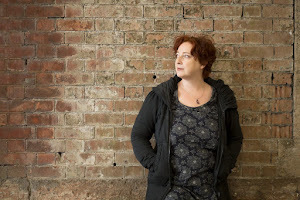 All this only adds to my impression that it is an exciting time to be a short story writer, with imaginative and creative people like Vignette Press doing such wonderful things with our stories. My hands hurt. It's been a long time since this last happened, since my last bout of repetitive strain injury. Maybe 8 years. Back then, my whole arm went numb, I had to stop typing for several months, which is very difficult for a journalist. I remember I dabbled in voice recognition software but just couldn't get used to talking to myself. I had to stop knitting, too, which I was sad about. 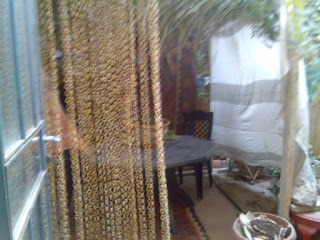 I had a lot of chiropratic treatment etc.. and that helped. Then I discovered yoga, and that really really helped. I haven't had pain for years, I've been doing yoga regularly, sitting properly at the computer (I think), not really knitting. Then a few months ago I took up knitting again, delighted, because it's pretty trendy now, I don't get called "Grandma", everyone wants hand-made jumpers. But I must have overdone it, or over-used my laptop, or been careless about posture or something, because now I have those familiar twinges, mostly when I am not typing, not writing. so maybe I can have a go with the laptop at a different angle. Although I know I shouldn't really type at all. But I am antsy, irritated, I need to write. Why should it be painful? I've been rewriting. Or, closer to the truth, slashing. I've had some success in the past few months in taking a short story a few thousand words long that I like but that isn't quite working - and rewriting it as a flash, under 500 words. What happened in the case of one story is that it began with the same opening scene but then went in a completely different direction. That flash then won 2nd prize in a competition. I thought, Aha, I'm onto something! I decided to try this with all of my "problematic" stories, of which there were four main ones. I rewrote two in the last two weeks and it has been a revalation. One, which I must have tried writing ten times from different viewpoints, tenses etc.. over the past year or so (that's not including different drafts, hundreds), I began again and pared down to 240 words. When I say "pared down" I mean stripped of everything. It's not even in complete sentences now. It has exposed the raw story, any waffle is gone, such as lengthy explanations of why my main character does the bizarre thing he does to library books. All it is now is the story - what he does. No why, almost no where. My online flash group seemed to love it, they said it was a great combination of form and content - the choppiness of the writing matched the plot. The second story I redid in this way came out longer than 240 words, around 1000, but before my groups said that the main character's tone was wrong for the story - too flippant, too cheery. All previous drafts of the story had also been quite cryptic about what it was she was doing. So this time I began with the first line stating what she was doing, taking away the mystery. The story became why not what , and while laying out the why all her anger and bitterness at her life came pouring out. A completely different story. So, rewriting - paring down - is highly recommended. The discipline of making something a flash - whether under 500 words or under 1000 - brings out something very different, doesn't allow space for non-relevant padding. I have two more stories (at least) to tackle this way. Will see what comes of them.